Christmas time is coming! With that comes cookie baking. 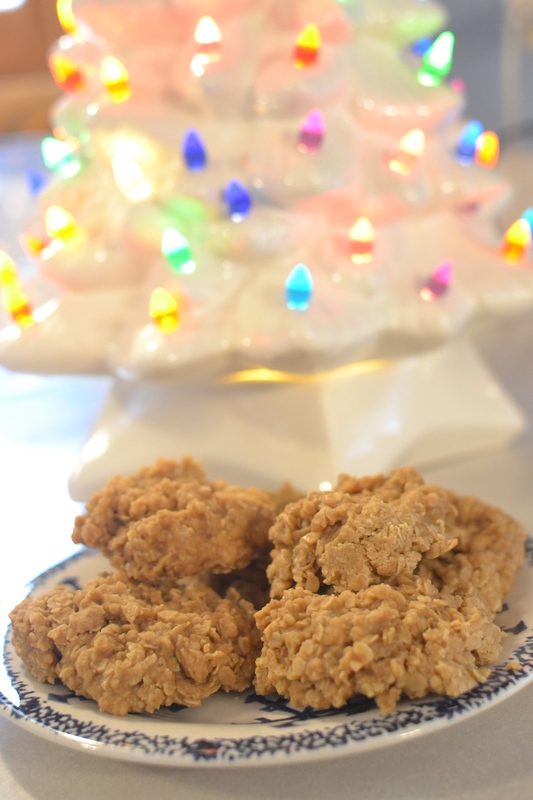 We’ve already made quite a few cookie recipes from our grandmother’s recipe box: Mrs. Eisenhower’s sugar cookies, drop nut cookies, chocolate chip cookies, Louise’s oatmeal drop cookies, Lucille’s shortbread cookies, ice box cookies, and hermit cookies. 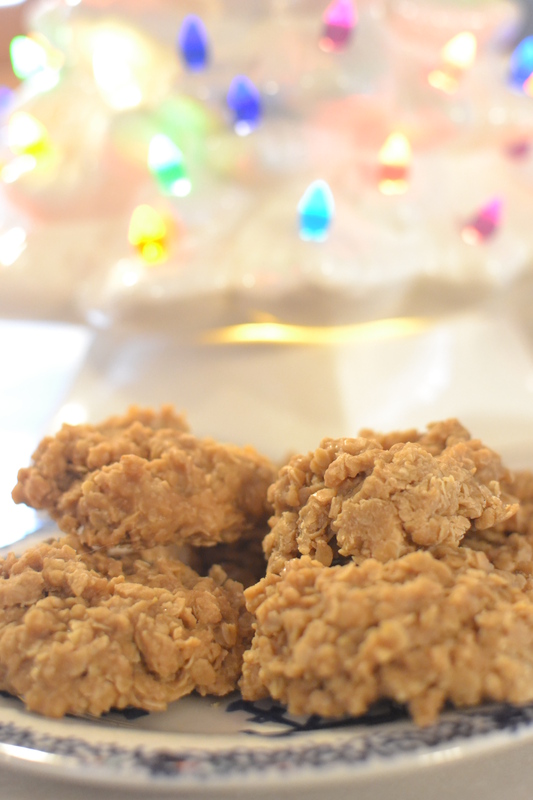 But, since it is Christmas time, you can’t have too many cookie recipes, so here’s another one – peanut butter no bake cookies! This is the first cookie recipe we have put on that is a bonus recipe, not from our grandmother’s recipe box. A friend gave this recipe to us and I just have to share it because it is so simple to make and so good to eat! In a saucepan heat brown sugar, butter and milk. Stir every so often. Let come to a boil. Boil without stirring for 3 minutes exactly. 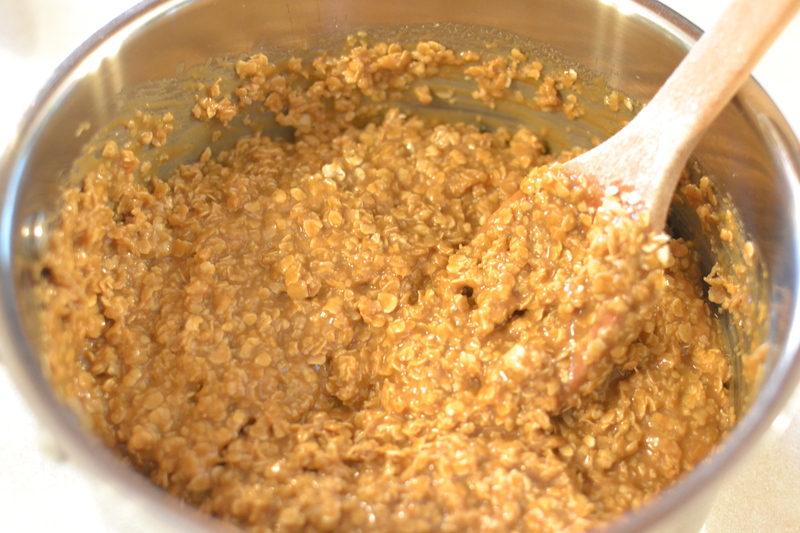 Remove from heat and add peanut butter and oats (You may not need all of the oats. Stir the last cup in slowly so it doesn’t get too dry.). Spoon onto wax paper. Let cool. The recipe has very few ingredients and very few steps – what’s not to like about that? 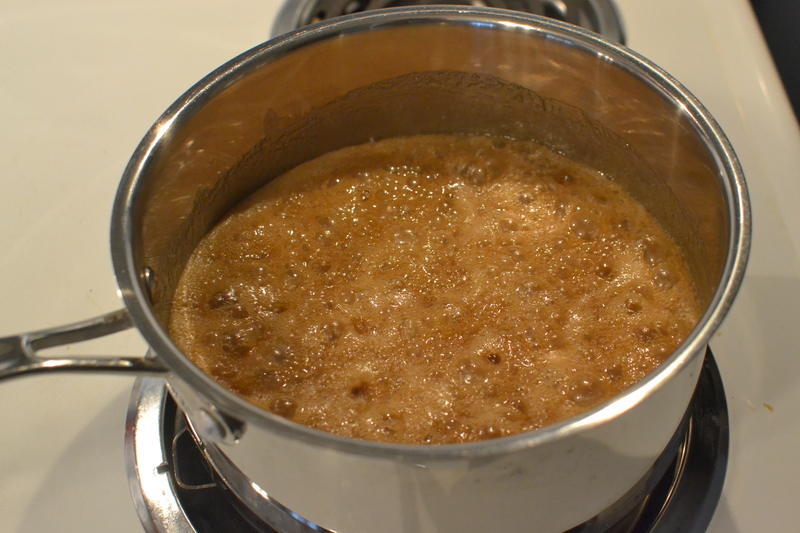 First, I put the brown sugar, butter and milk in a pan and let it cook, stirring on occasion until it boiled. Once it boiled, I set the timer for three minutes and let it go without stirring until the timer went off. Then, I took the pan off of the burner and put in the peanut butter that I had measured ahead of time. 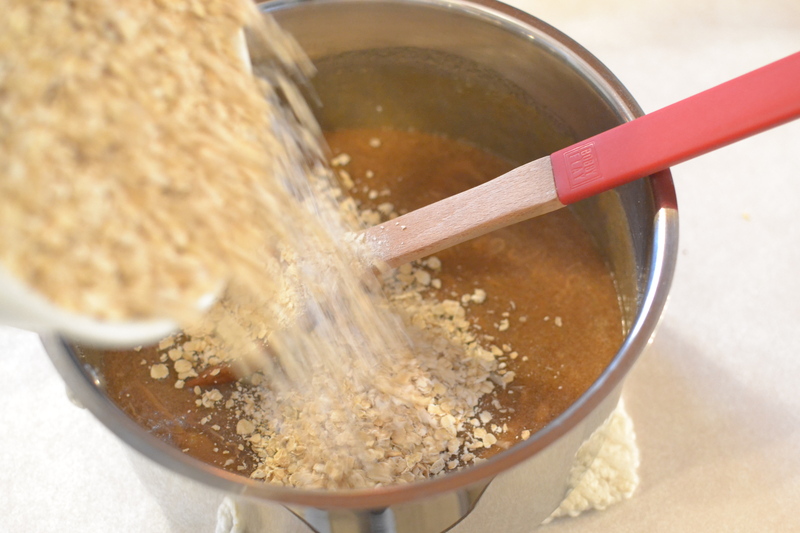 I stirred it around a little until it melted and then added the quick oats. I ended up using all three cups, but a little less would have been okay too. 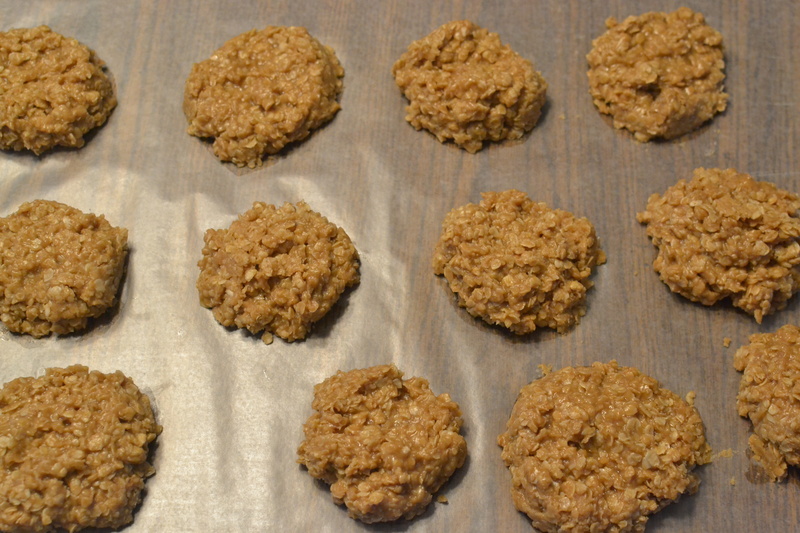 I then spooned the batter out onto wax paper and let it cool – and there they were, done and ready to enjoy! After they were cooled all the way, I stuck them in the freezer so I can pull them out when friends and family are visiting. So, if you’re short on time, but want a cookie that tastes like you spent a lot of time, I think these are the ones you should try. You won’t be disappointed! 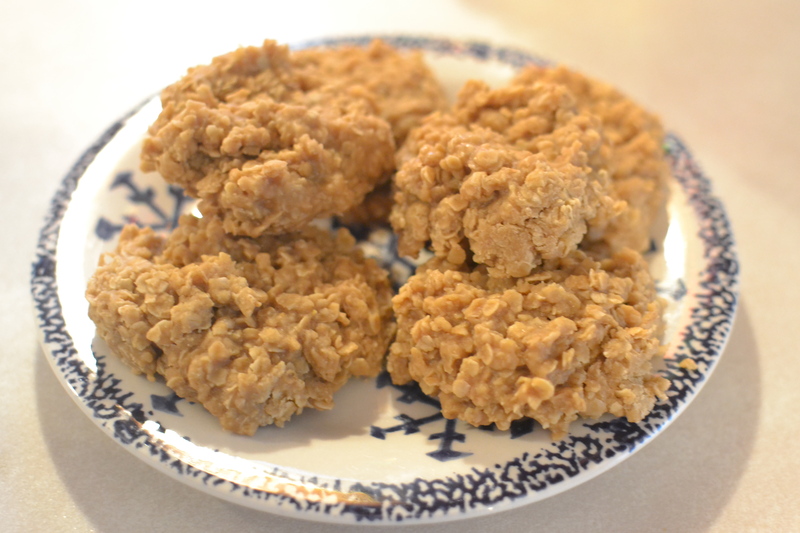 This entry was posted in bonus recipe, Cookies, Dessert, oatmeal cookies, Snacks and tagged baking, brown sugar, Cookies, dessert, farm cooking, grandma's cooking, homemade, No Bakes, Oatmeal, Peanut Butter, Peanut Butter No Bakes, scratch cooking by GrandmothersRecipeBox. Bookmark the permalink. They are delicious. The boiling directions are better then the ones I usually use for no bakes. The cookies set perfectly. So glad you liked them, Katiera! Wish you lived closer so we could make them together!